Science Engagement Programs offers innovative and engaging programs designed to inspire youth and discover exciting topics in science, technology, engineering, and mathematics (STEM). Out of the Faculty of Science at York University, our programs use a discovery and inquiry-based learning approach that is focused on ‘learning by doing’. Our outreach model provides students with a chance to work in small groups on a variety of projects that will help foster problem solving, critical thinking, and an overall passion for STEM. Sign up for our Newsletter to receive updates and new information about our programs. Follow us on Facebook, Twitter, and Instagram for exciting activities, fun links, and updates about our programs. Registration for York Science Saturdays 2019 is now open! Go to York Science Saturdays for more information. To register, click here. Financial assistance available. 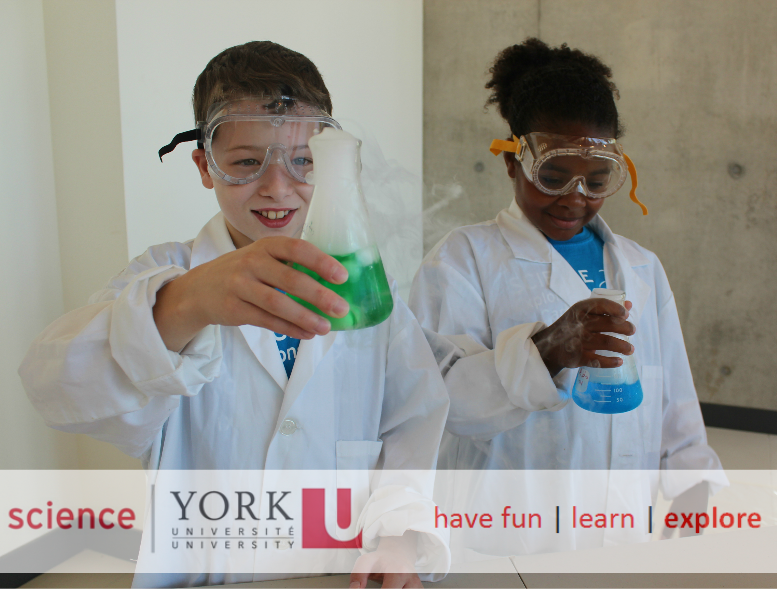 Please email explore@yorku.ca for more information regarding financial assistance for our science outreach programs. Give the gift of knowledge! Gift Certificates are now available for our 2019 educational programs. Please email explore@yorku.ca for more information. Get out of the classroom and into the lab with our new Spark Lab program! Designed to immerse high school students in lab work, you will have the opportunity to get hands-on lab training and experience! Visit Spark Lab program for more information!